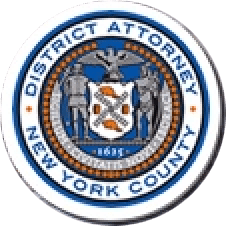 Manhattan District Attorney Cyrus R. Vance, Jr., today announced the indictment of JAMES DIXON, 24, for punching Islan Nettles, a 21-year-old transgender female, in the head following an argument in August 2013. The victim died from her injuries several days later. The defendant is charged in an indictment in New York State Supreme Court with one count each of Manslaughter in the First and Second Degrees, and Assault in the First Degree. According to the indictment and statements made on the record in court, shortly after midnight on August 17, 2013, three transgender women encountered a group of at least seven young men on Eighth Avenue in Harlem. As both groups walked south along Eighth Avenue, one of the young men, DIXON, struck Ms. Nettles in the face with a closed fist between W. 147th and 148th Streets, knocking her to the ground. The back of her head hit the pavement, causing a serious brain injury, and leaving the victim unconscious. DIXON then struck the victim repeatedly with a closed fist, causing further serious brain injury. DIXON then fled the scene. As a result of her injuries, Ms. Nettles was declared brain-dead on August 20th and taken off life support two days later. Assistant District Attorneys Nicholas Viorst and Laura Millendorf are handling the prosecution of this case, under the supervision of Alfred Peterson, Chief of Trial Bureau 70, Joan Illuzzi-Orbon, Chief of the Hate Crimes Unit, and Executive Assistant District Attorney John Irwin, Chief of the Trial Division. District Attorney Vance also thanked the NYPD’s Police Service Area 6, the Manhattan North Homicide Squad, and the 32nd Precinct Detective Squad, in particular Detective Christopher Killen, for their assistance with the investigation.